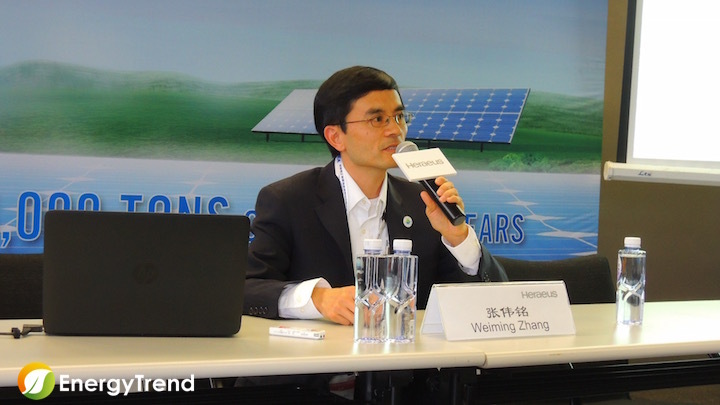 Heraeus Photovoltaics, a leader of metallization paste solutions for solar cells, offered the company’s biggest launch program ever at SNEC 2017 in Shanghai, China. 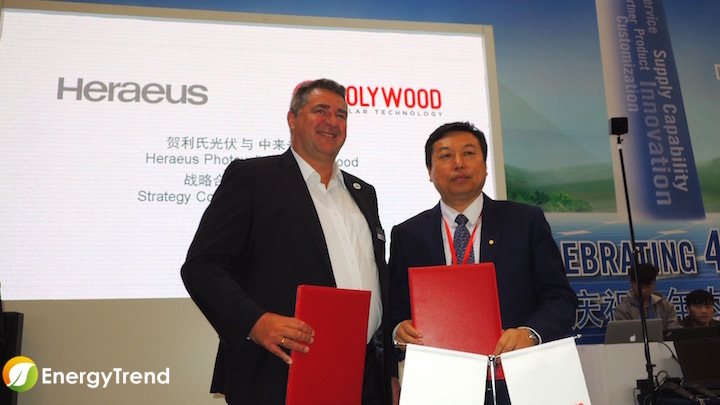 The launch program included five new paste solutions, two non-paste solutions, one service program, plus a strategical partnership with China’s Jollywood for co-development of N-type technologies. As joyful as usual, every visitor to Heraeus’s booth at SNEC 2017 can get a free ice cream ball as long as he/she follows the company’s official WeChat account. The ice cream chart was set in front of a board that showed Heraeus’s comprehensive solar solutions – solutions for crystallization, cell printing (several types of processes), sintering furnace, to consultancy service. At this year’s SNEC tradeshow, Heraeus launched five metallization pastes, including: the upgraded version for PERC cells (SOL9641B), paste for double-print packages (SOL9642A/B), paste for black silicon solar cells (SOL9641A), paste for N-type cells (SOL9360A), and paste for knotless screen printing (SOL9641Ax/Bx). The metallization paste solution for PERC cells is a good example for Heraeus’s devote to this industry since the company developed the first generation PERC paste in 2012. The latest, third-generation solution can boost cells’ efficiency by up to 0.2% thanks to improved finger geometry and VOC as well as capability of ultra-fine-line printing. Paste solutions for black silicon cells and knotless screen printing are both answers to the industry’s latest technological development, while paste for N-type cells is for the crystalline-si cells’ future. 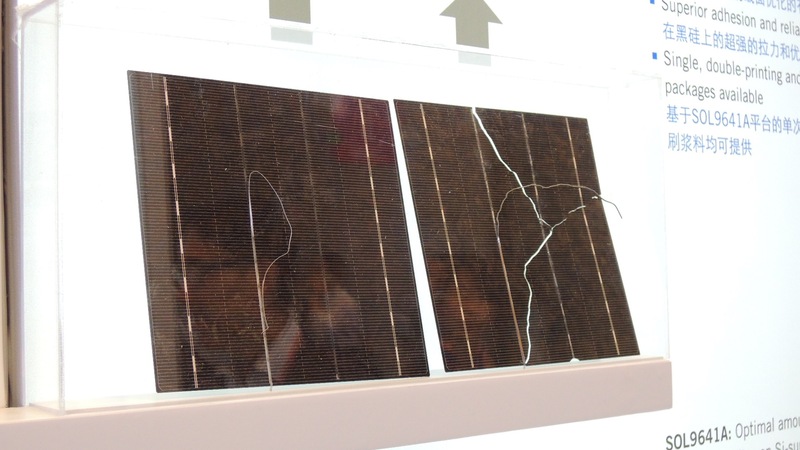 For example, black silicon cells require a different paste solution from conventional solar cells due to its special-textured surface, otherwise the busbar can break down or the cell could be even be cracked. 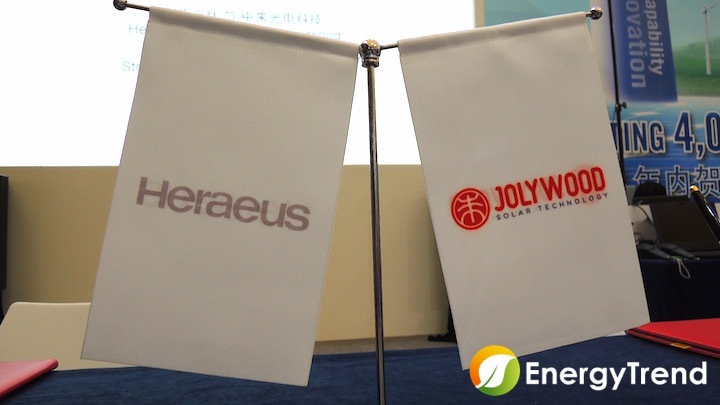 At the same time, Heraeus officially made the debut of its HeraGlaze©, Infrared Emitters (IR-emitters) and diffusion consultancy service in China. HeraGlaze©, a high-purity SiO2 difussion barrier coating for crucible in wafer production, is Heraeues’s first non-paste solution. This solution will help increase the wafer yield by up to 0.4% and cell efficiency will be improved as it prevents impurities to melt into the ingot when crystallizing. The IR-emitters is designed for optimized diffusion, Anti-Reflective Coating and drying processes in solar cell production. Entirely made out of quartz glass, the IR-emitters operates constantly and react instantly, providing better manufacturing process for solar cell makers. Heraeus’s diffusion consultancy service is for ushering next step of efficiency gain for the PV industry. The service will optimize the diffusion of phosphor in crystalline c-si wafers so that the solar cells (made of the wafers) can fully maximize feature of Heraeus’s pastes. This service can also eliminate mistakes and errors made by PV makers. 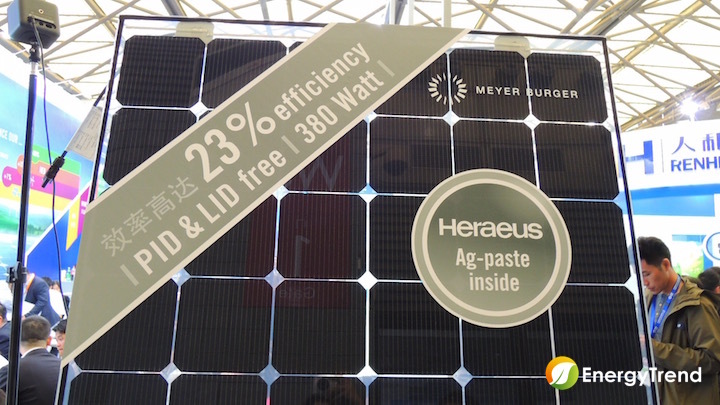 Heraeus has delivered over 4,000 tons of silver pastes to the PV industry, equal to 133GW of solar modules. For the past years, Heraeus has stimulated the PV industry’s progress because the company is always aggressive in leading mainstream technologies as well as future options. “Simply through improvement of our paste solutions, Heraeus has helped increase the overall conversion efficiency by 1.2% since 2008,” stated Dr. Zhang. Dr. Zhang and Heraeus look optimist toward N-type technology. 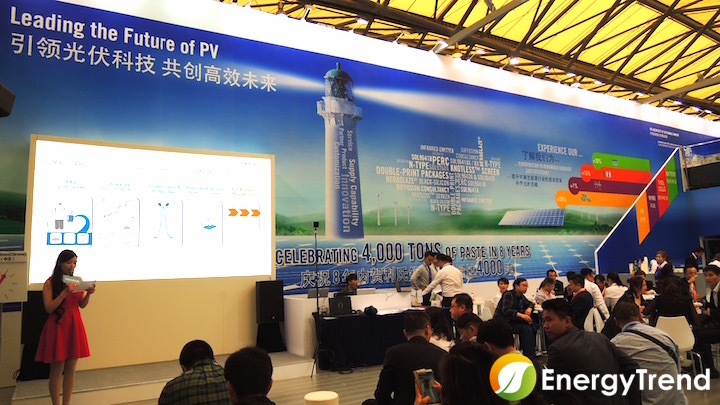 This confidence reflected through its N-type paste solution, a HJT solar module co-developed with Meyer Burger displayed on its booth, and a strategic partnership signed with Jollywood.